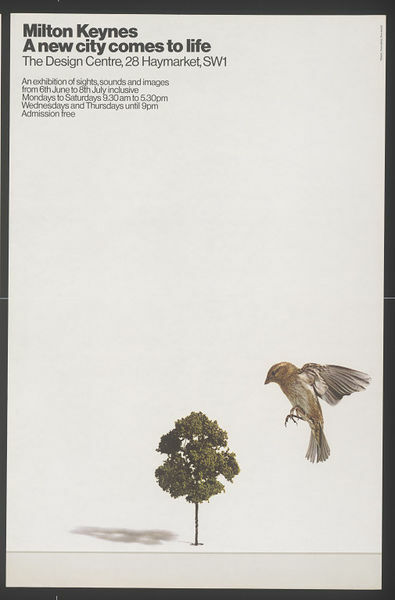 Poster promoting an exhibition of plans for Milton Keynes at the Design Centre, featuring an image of a life size sparrow about land on a model tree. Poster. 'Milton Keynes. 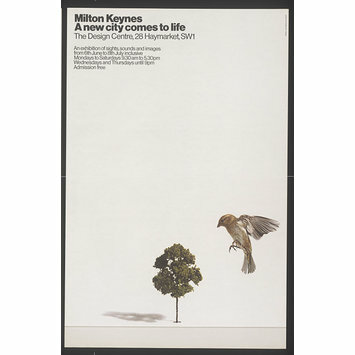 A New City Comes to Life', designed for the Milton Keynes Development Corporation by Minale Tattersfield, Great Britain, 1972, colour offset lithograph.